The projects total an investment of up to $142,550 to improve the quality of life in the community. On an annual basis, the Foundation awards approximately $6 million in grants with at least 75% of the grants supporting local nonprofits in Central Florida. Endowed funds at the Foundation make these annual grant rounds possible. Generous individuals established these funds to help maintain and improve the quality of life in Central Florida forever, with some funds established specifically for Winter Park. “At Central Florida Foundation, we believe in approaching grant-making with the mindset of an investor to further the impact of these investments in the community,” said president/CEO Mark Brewer. The grant committee this year included community members: Alexis Pugh, Mark Freid, Jean Siegfried, Rick Baldwin, Rob Thomson, Tom Durkee, Lou and Lee Nimkoff, Julie Tindall, David Torre, James Ekbatani and Marc McMurrin. 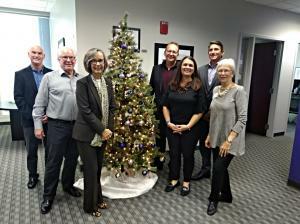 The committee used Nonprofit Search to research nonprofits and present grant recommendations to the Foundation’s board of directors for approval. “It’s always educational and interesting to participate in the grant rounds. There are so many worthy and worthwhile nonprofits out there and this provides an opportunity to discover them,” said grant committee member Alexis Pugh. Central Florida Foundation believes in the power of philanthropy and that thoughtful strategies, combined with a generous community, make Central Florida a place where everyone feels at home. The Foundation works with families focused on giving back, nonprofits and across public and private sectors to bring philanthropy to life. It all began in 1994 as a dream around a table of local, passionate people, and has grown to be one of the community’s most trusted resources. Learn more at www.cffound.org.